And it's from the last place you'd expect. Yes, the most boring company ever is finally giving us something entertaining. 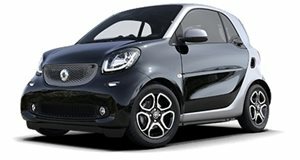 Smart, as in the crappy manufacturer of ugly city cars, is looking for a new way to appeal to audiences. It decided to go the vulgar and hilarious route.We're really happy that they did as this commercial is hilarious. This may be the only thing we love about the company - it brought us a wonderful compilation of children swearing, and then somehow tied it into purchasing Smarts. We got a laugh from this, but we can’t say it convinced us to run out and buy a new Smart Forfour. Turn up the volume, but don’t watch this at work as it might get you fired.